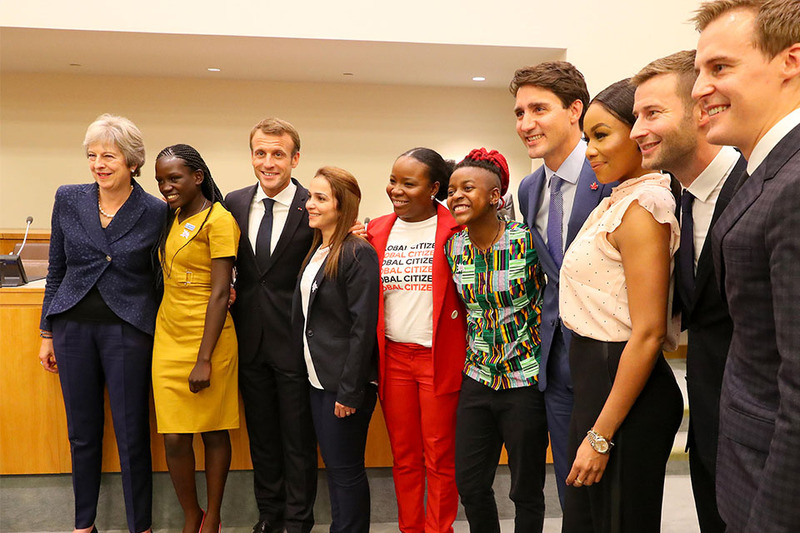 I would first like to thank President Macron and Prime Minister Trudeau – and thank you also to the governments of Kenya, Niger and Jordan as co-hosts of this event with whom we are working to support girls’ education around the world. Today over 130 million girls did not go to school. 130 million girls – most of them in the world’s poorer countries – did not have the opportunity to learn and develop the skills that most of us in this room take for granted. 130 million girls did not receive an education, without which their unique and almost unlimited potential will never be unlocked. By denying girls an education we deny them a voice, we deny them choice, we deny them their future. Now I know I am extraordinarily grateful for the choices the education I had gave me. Growing up I was blessed with good schools, a supportive learning environment, encouragement from my teachers and my parents. I have always said: “Education is the key that unlocks the door to your future.” And I want all girls around the world to be able to unlock that door. Over the next decade, millions of young girls will enter the jobs market. As they do so, they have the potential not just to lift themselves, their families and their countries out of poverty, but also to grow the global economy, create new markets and find solutions to shared challenges that we all face. Yet without education, that incredible potential will not be realised – and all our futures will be all the poorer for it. So Improving access to education is not only the right thing to do, it is also at the heart of the UK’s drive to boost economic growth, improve stability and reduce conflict around the world. A more educated world is a better world for all of us, and the UK has long led the way in making it easier for girls around the globe to access 12 years of quality education. Since 2015 we have helped at least 5.6 million girls in developing countries gain a decent education, and this commitment will continue. Earlier this year, I pledged almost £400 million of UK Aid for the second phase of our Girls’ Education Challenge. This is a programme that is already supporting 1 million girls around the world to continue their education through primary, secondary school and training. And it is also giving girls who have dropped out or never attended school due to poverty, motherhood, disability or conflict a chance to learn through catch-up classes and vital skills training. And phase two of the Challenge will see new projects that specifically target the most vulnerable and marginalised girls, including those with disabilities. And I am pleased to announce today nine such projects, which will support more than 170,000 of the world’s most marginalised girls. This includes in Ethiopia, where we will fund counselling and mentoring to help girls enrol and stay in school, and teacher training to help improve the quality of education. And that project will help over 70,000 girls access education, including up to 3,500 girls with disabilities. And elsewhere, we will be funding projects that help girls affected by war – who are more than twice as likely to be out of school compared to those not living in conflict zones. And while our work is making an immeasurable difference to the lives of those it helps, to make sure no girls are left behind requires truly global co-ordinated action. Nations, donors, multilaterals and other organisations working together to secure real and lasting change. So we have launched a global campaign and are pushing for commitments to girls’ education from governments around the world. And we received many such commitments at April’s Commonwealth Heads of Government Meeting, at which leaders pledged to ensure girls across the Commonwealth will be able to access 12 years of quality education and learning by 2030. And, today, I am calling on everyone here to join our campaign. To commit to the individual, collective and governmental action that is needed to break down barriers to girls’ education. To increase girls’ access to schools and learning. to ensure that every girl, in every corner of the world, can access the 12 years of education they need to unleash their potential, embrace the opportunities before them, and help change the world for the better.